Qemu 2019 port, someone with success executing it? This is a recent Qemu port over at emaculation.com, and I've tried to follow the advice to execute it. But it seems I do not own the experience to get it started. If you've used Qemu before, please post your experience below. And that's from the end of February 2019. So it's doing some things well, but others are essentially non-existent. The long-term upside is that everything will eventually be worked out (probably). In the short-term though, that means skipping over the shortcuts and bandaids that went into PearPC, Basilisk II, and SS and other smaller emulation projects. At this point, I'd still suggest a different emulator. In another year or two though, QEMU probably moves past them handily. Just try the screamer build for sound. Add a 9.2.iso to Cat_7´s build and see how you fare. It should boot into 9.2 just fine, at least it does on my side. I usually used a HFS+ disk image to transfer files between SheepShaver and Qemu - the lazy way. Guess I do see your point now IIgs, I can´t seem to boot from the HDD with MacOS9 on it. Change -boot d to -boot c to boot from the emulated HDD. for any MacOS task I can think of. 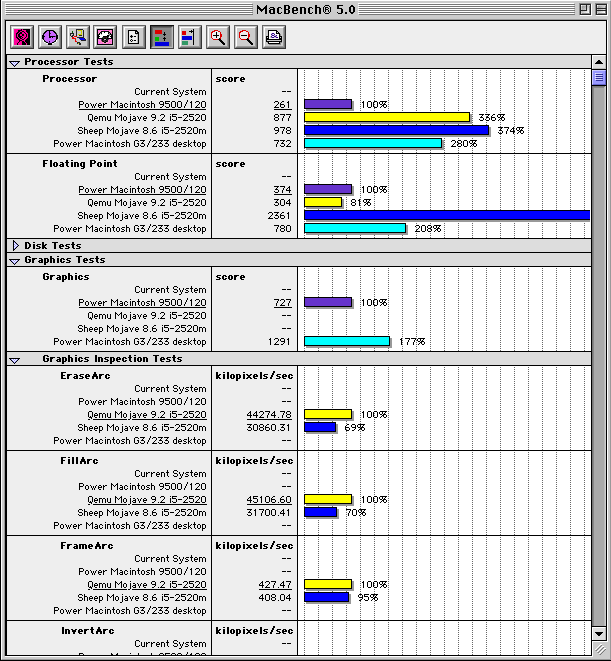 but Qemu offers best compatibility - thinking of MS Office`98 or RagTime 3.1. MMU support seems to be implemented with Qemu 3.1 too. Sound with Qemu (screamer) is still an issue on my side with a Mojave host. My older screamer instance on a Windows Core2Quad plays sound all right. Except for that, Qemu can be successfully set up fairly easy with Cat_7´s prebuilt zip sets. Almost forgot: Browsing the net is possible too with Classilla. Is the Refresh Rate good? From my experience with Sheepshaver and Basilisk, it's a lot lower than running things on a real Mac or, at the very least, that's what it felt like running certain applications. To see what I mean, pick Escape Velocity and compared it native vs. Classic/SheepShaver/Basilisk II. I know SS/BII have an option to set the Refresh Rate, but even if you push it to the limit, the symptom doesn't go away. There is a faster fork of QEMU called HQEMU, by the way, for those interested, but getting that guy to work/compile etc. is a pain, and doesn't work on most hosts in which QEMU does. In any case, QEMU is so darn cool. Love the scope. Love how far people keep pushing it day by day. Thanks Jatoba, but I´m not the right guy to judge gaming experience. I did run MacBench5 however on Mojave with both Qemu and SheepShaver 2.5. Results for grapics tests are mixed as you will notice. 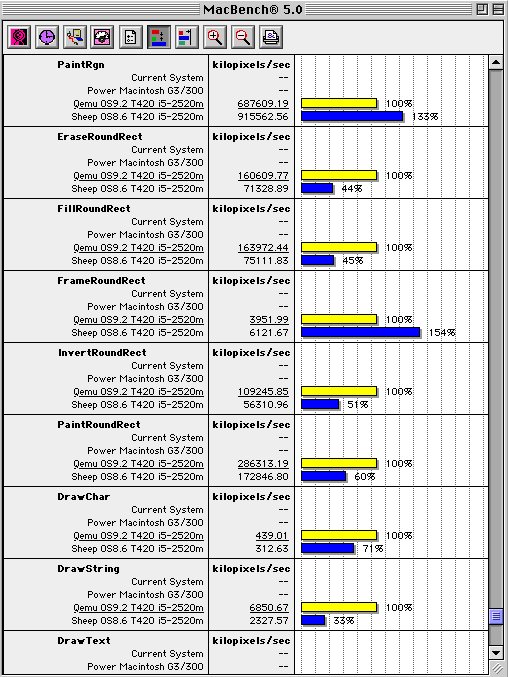 SheepShaver is not always faster than Qemu, but I have no real Mac any more to test against. Both VMWare and VirtualBox do offer graphics hardware acceleration by now. Lets hope some programmers are willing to add these features to Qemu in the near future. An ATI Rage emulation or similar would fill the gap for many games unplayable in Mac emulation today. Nobody with spare time before easter? I did update the second DL on the MacBench 5 page. The emulator benchmarks are in their own folder in the results folder now. As you will notice, Qemu emulating a G3 cpu, is already outperforming the blueprint SheepShaver partially emulates - the good old PPC 9500. Obviously SheepShaver is way faster in some aspects. If someone could add some specs from a CoffeLake cpu or similar, that would be good to know. As a postman, I'm always busy, with spare time. Maybe a newer experimental build would be worth a try too? Wait, better try this with sound and altivec emulation supposed to be working. As experimental build, it still likes to crash, but when running, it plays Nanosaur! Maybe the whole lot of games relying on ATI Rage etc. will work too? First time I saw Nanosaur running since my iMac Bondi blues are gone due to failing hardware. not sure whether that matters. 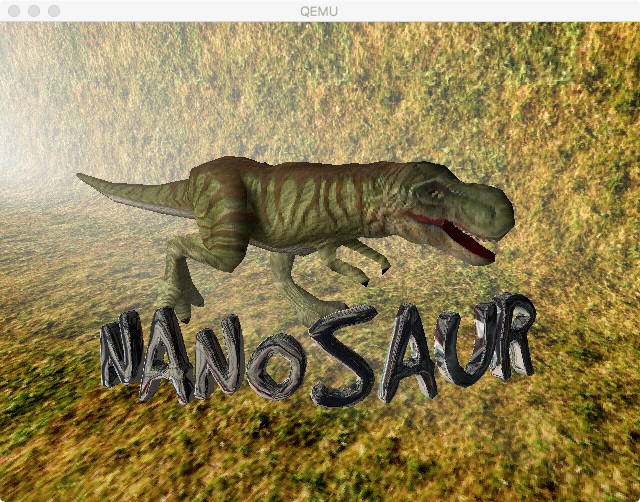 Nanosaur maybe benefits from GPU acceleration on some old systems, but Nanosaur runs fine on my Mac without GPU - Nanosaur is written in QuickDraw3D which has GPU plus a fallback software-only rendering mode. Run Star Wars Episode I Pod Racer, .. then I'll be impressed. 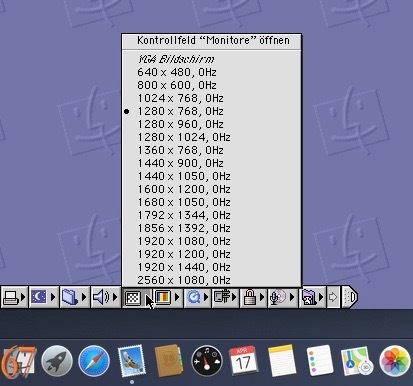 I can run many other 3D games without hardware GPU, booted into OS9.2.1 on my Mirror Door 2003. I doubt they're all QD3D i.e. many 'engine' have dual support for GPU and for software-only render. Sure SkyCapt, Qemu PPC does not emulate a GPU like a ATI Rage or similar. So, no - Star Wars Episode I Pod Racer will not run, of course. VMWare and VirtualBox do have GPU emulation for some time meanwhile. Maybe somebody knowing what he is doing can borrow there, but it seems that OpenBios is not ready for that either. GPU support in emulators is something that is always incredibly nice to have, but is seldom ever implemented. If Basilisk II used PSP and PSVita GPUs, for example, they could probably run, with incredible ease and smoothness, any 68k software that was ever made for a 68k Mac. But since that's not the case, even some 2D games can play slugishly, like Prince of Persia 2, SimCity 2000 and Escape Velocity, while a 3D game like Hexen is literally 1 FPS or less, updating graphics like how one moves through a PowerPoint presentation. I really, really wish more operating system emulators would offer GPU acceleration! Since it is something not that commonly seen, I imagine it must be a real pain in the rear to implement. 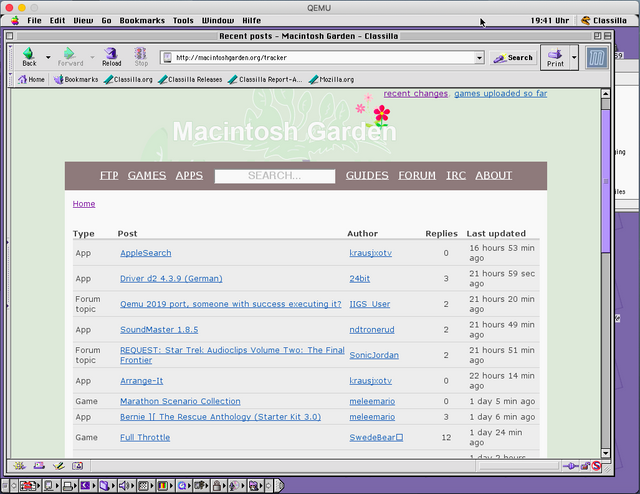 On a Mac clone that I've used on a daily base at its time, I've seen NanoSaur runs in grayscale colours. As long as no 3D accelerator card is installed. Forgot to mention that the pre-4 experimental build works maybe better even with Sierra. My recent test on real hardware (PowerBook G3 Pismo, with external VGA monitor), didn't even play 3D graphics on the external one. Agreed, Quemu 4 looks promising indeed. 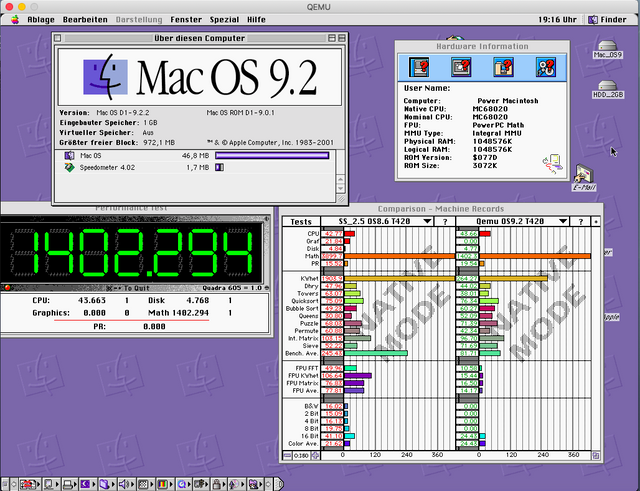 Once a few glitches are ironed out and someone donates a setup GUI it may become the first choice Mac emulator. The pre-4 build is even faster on graphics than its 3.1 sibling. Not too big a surprise with altivec included. Not working with Qemu as of today is "Reboot". Qemu has to be killed by "force quit" on the host in case it hangs.